Visit Vala's Pumpkin Patch this fall, with over 50 attractions and 3 live shows daily. There is even more fun on the weekends. 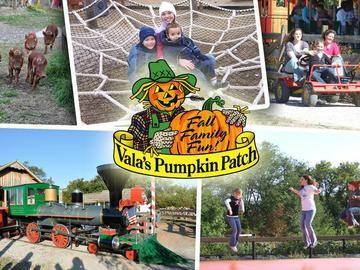 If you love food, love fun, love fall, you'll love Vala's Pumpkin Patch best of all. Open September 14th through October 31st, 9am to 9pm daily. Located near Gretna, Nebraska.